The engineering aspirants are gearing up for the entrance exams slated to be held in the coming year for the academic 2019-20 session. Almost for all the exams, the respective conducting bodies are done with their application process. The entrance exams will be based on the course which candidates have studied in their secondary, higher secondary and graduation period. There are separate exam paper pattern and exam dates for all the exams. Those who successfully clear the entrance examinations will secure their seats in the top institutes of Engineering and Technology in the country. AICTE Advises Students to Follow Books Written by Indian Authors for Engineering & Technology Courses; UGC Lauds Idea. There are several entrance examinations both state and national-based conducted by various Institutes. In this article, we have provided all the necessary information for the popular entrance examinations like the Joint Entrance Exam (JEE) and Graduate Aptitude Test Engineering (GATE). Check out all the exam details for the engineering courses below. The Joint Entrance Examination (JEE) is one of the most coveted competitive exams for securing seats to various engineering colleges in India. It is constituted by two different exams—JEE Main and JEE Advanced. The exam consists of objective-type questions. From 2019, the newly-built National Testing Agency (NTA) will conduct the exams for the engineering aspirants across the country. JEE Main & NEET 2019 Tutorial: NTA Introduces Online Content Lectures by IIT Professors; Watch & Study Online. JEE Main is for admission to the National Institutes of Technology (NIT), Indian Institutes of Information Technology (IIITs) and some other colleges. NTA released the exam notification for 2019 in October and allotted the exam centre to its registered candidates on the same month. For the 2019-20 academic session, the newly-constructed body will conduct JEE Mains from January 6. The first attempt Paper 1 exam will be held from January 6 to January 20, 2019, while Paper 2 will be held on January 8 only in one shift. The admit cards for the same are not released yet, and it is slated to be published on December 17, 2018. JEE Mains 2019 Paper 1 will be in online Computer-Based Test (CBT) and Paper 2 in pen and paper mode. JEE Main 2019 Exam Centres, City & Shift Details Announced Online. JEE Advanced is for students who aspire to study at the Indian Institutes of Technology (IIT). Only those who clear the JEE Mains, are eligible for appearing in the JEE Advanced. JEE Advanced 2019 for the upcoming academic session will be conducted in CBT mode only. For the coming year, IIT Roorkee has been given the responsibility to hold the JEE Advanced for all the JEE Mains 2019 qualifiers. In 2019, JEE Advanced will be conducted on May 19 in two sessions. Students will sit for Paper 1 is the morning session, and Paper 2 will be held in the afternoon session. GATE is an entrance exam that primarily tests the comprehensive understanding of various undergraduate subjects in engineering and science. The scores reflect the relative performance level of a candidate, and it is used for admissions to various post-graduate programmes like Master’s in Engineering, Technology in the higher education institutes in India. For the coming 2019-20 session, IIT Madras will conduct the exam which is scheduled to be held on February 2, 3, 9 and 10, 2019 at various test centres across. The admit cards for GATE 2019 will be published on January 4 for all the eligible students. GATE 2019 Know Exam Dates, Eligibility, Paper Pattern & List of PSUs Undertaking the Engineering Entrance Scores. The students who aspire to study Master of Science (M.Sc.) 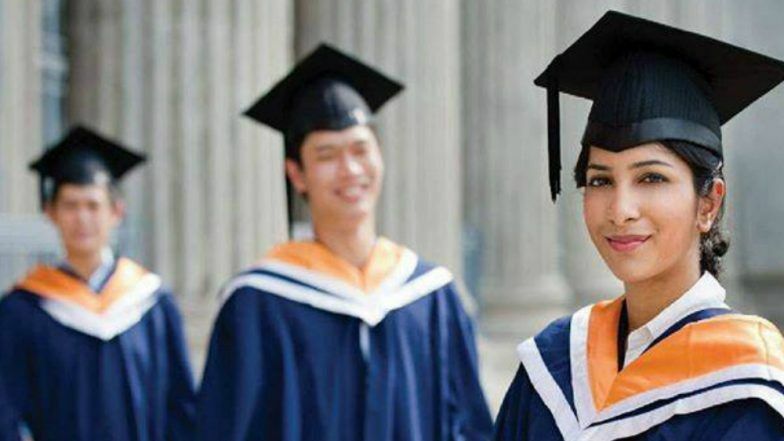 and other post-graduate (PG) Science programmes at the IITs, Indian Institute of Science (IISc, Bangalore), Indian Institutes of Science Education and Research (IISERs) including National Institutes of Technology (NITs) appears in IIT JAM. For 2019, IIT Kharagpur will conduct IIT JAM on February 10 in two sessions. All the candidates who have successfully registered will participate in IIT JAM 2019 in two sessions on the same day. The students will get 3 hours to answer all the questions. IIT Kharagpur will publish the admit card from January 4, 2019, and the exam will be conducted in an online mode. The above are the top national-level entrance exams for candidates who want to study Engineering and Masters in various subjects in Science and Technology. As the applications are done, and there are hardly a few days left for the coveted entrance exams, look no further and begin your preparations now.